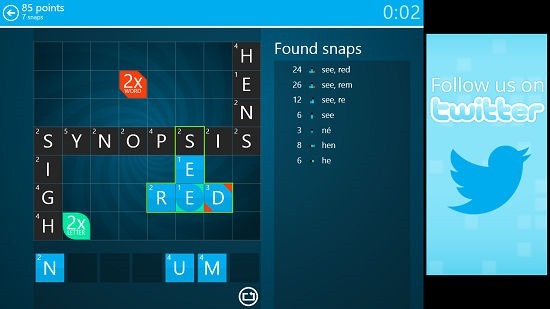 Snap Attack is a free game app for Windows 8 and 8.1 which is designed in a scrabble like format. The game has been designed by Microsoft Studios, and hence directly hooks up to your Xbox Live account wherein it stores your achievements and progress as you pave your way through the game. A good feature about this game is that it allows you to form words which will give you bonuses based on the length of word formed, placement of the letters etc. 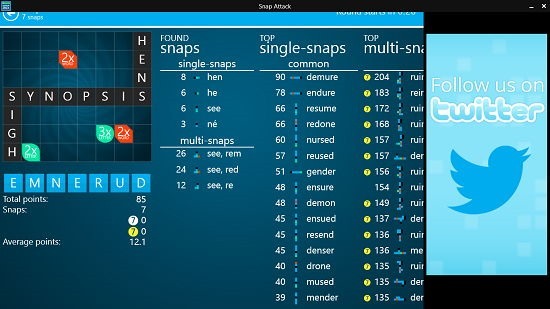 Snap Attack is available for free from the Windows App Store. 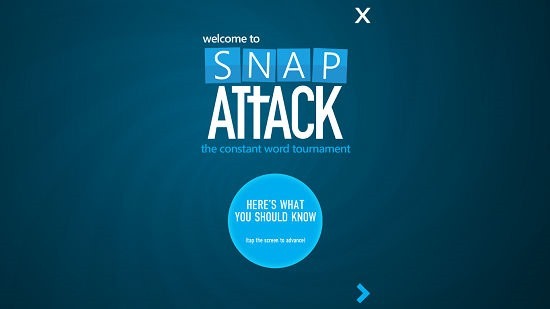 You will see the following screen when you install and launch the Snap Attack game app on your device. Simply tap on the screen to be shown the tutorial screen of the game wherein you will basically be briefed about the various aspects of the game itself. To skip the tutorial screen and jump directly to the main menu instead, you can feel free to use the X button at the top right of the screen in the above screenshot. You can see the game’s tutorial in the screenshot above. This is a voice guided tutorial, i.e., a female voice will tell you how to play the game, explaining you the instructions shown on the screen in each frame. Once you are finished with the tutorial, you will be taken to the main menu of the game which you can see in the screenshot shown below. 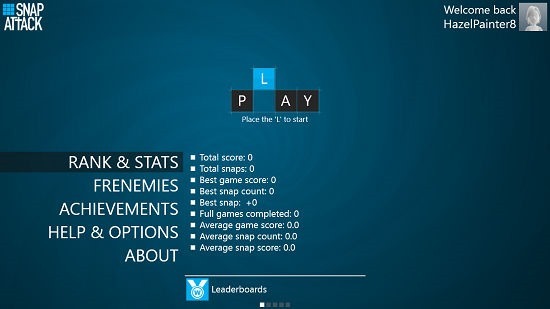 Simply slide the letter L in the word PLAY shown towards the center of the screen in place, and your game should start. You can see that a few words (in black) are already formed. Your objective is to use your blue tiles at the bottom of the screen and place it in a fashion that you score most points in the two minute time period provided. You can use and reuse the same tiles over and over again to form the most number of unique words. Keeping a track on your score is easy, as it only requires you to quickly peep in to the top left corner of the screen. Once the time runs out you will be shown the scoreboard wherein you will be able to see all the words that could have been created using the tiles that were provided to you. You can use the back arrow button at the top left corner of the screen at any given time to go back to the previous screen. You can also check your worldwide rank, toggle settings etc. from the main menu of the game. This concludes the major features of the Snap Attack app in a nutshell. I’d simply conclude by saying that this is one app which you definitely must have! 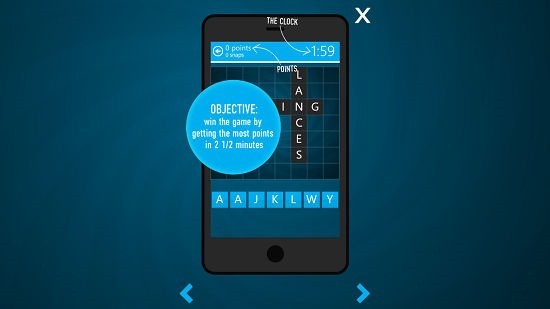 The app makes for a learning experience as well as it allows you to learn new words at the end of each level that you play, and also makes for a great way to while away your time! My rating? 5 out of 5!